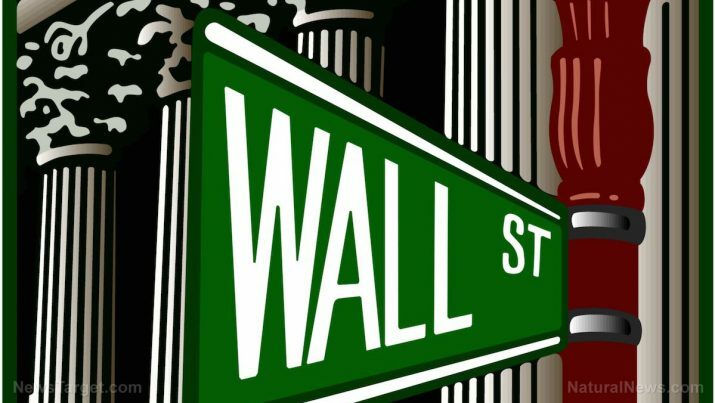 According to ZeroHedge.com, in 2010 “50 – 70 percent of all stock trades were done by high frequency computer trading algorithms.” But even though computers may execute most trades, input is still required by the flesh and blood movers and shakers of Wall Street. It’s long been a maxim that two basic emotions — fear and greed — are the forces that actually drive the stock market to frenzied highs and depressing lows, regardless of the underlying economics. These two emotions reign supreme from the large Manhattan banking centers and traverse across the American small business landscape. Most institutional traders and investment managers do their best to filter out the emotional noise with a traditional value investment methodology. This is a system that takes stock in analyzing real numbers to pick winners and avoid losers. But anyone who has invested in the stock market understands that stocks don’t always rise due to increased revenues, expanded market shares or by inserting new products into the mix. The current wild technology valuations, even amidst staggering losses of Uber, Twitter, Snapchat and others, according to SovereignMan.com, still have investor support that teeters on the brink of fantasy. Does this mean we’re close to a catastrophic economic collapse? Snapchat was valued at $50 billion when it initially went public, and then promptly went on to lose $2.2 billion. Right before Snapchat went public, these two smiling reporters from Bloomberg Technology were happy to assure investors that the company’s ability to generate revenues would be a snap! Even McDonald’s is loving it. Yes, Snapchat also loves to use your uploaded info to create content. And that “true test” concerning their revenue model seems to be one that is failing. Business Insider reports the camera company reached a high of $27.09 on March 3, 2017, and, as of June 15, 2017, the price dropped back just over $17, just north of the price where it debuted. Investment banks aren’t happy. In fact, they’ve turned bearish on the stock. As of this writing, the transportation company Uber hasn’t yet become a publicly traded entity. But investors are salivating at the potential of Uber’s imminent initial public offering (IPO), according to Zacks.com, who ponders whether Uber’s IPO will be the “hottest” one in 2017. Uber’s troubles, however, go beyond lawsuits and “CEO Travis Kalanick’s rude behavior towards a driver.” Recently reported net losses were $700 million, “despite pulling in a whopping $3.4 billion in revenue,” which translates into spending $4.1 billion. The company just seems to rack up economic losses, despite the amount of revenue it’s generating. But it seems that Wall Street just can’t wait to get its hands on the wheels of Uber’s IPO. Despite these examples of staggering losses, and overvaluations, Wall Street remains bullish on tech stocks. As reported by CNBC, this sector “should remain strong going forward due to their potential for double-digit revenue growth.” They even make mention of a “Goldilocks scenario for economic growth,” meaning that the investment market is neither too hot nor too cold. Hmmm. When the the bears arrive home, it could be a real tech investor catastrophe, don’t you think?